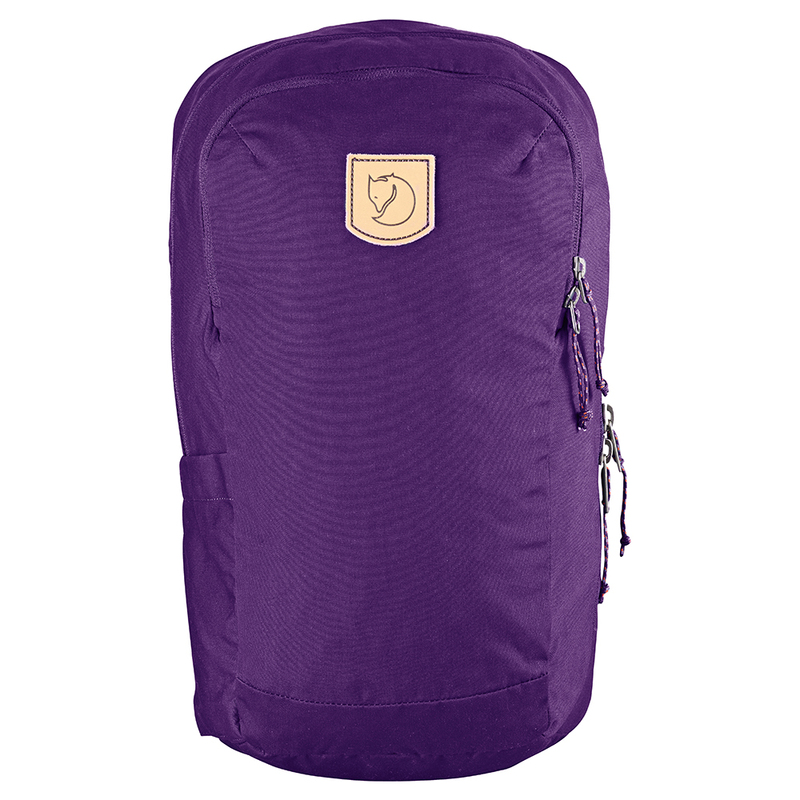 Fjällräven Räven 20L | Storm. Simple, practical and durable everyday backpack in G-1000 HeavyDuty Eco. Padded compartment for laptop computer as well as several spacious compartments and pockets. 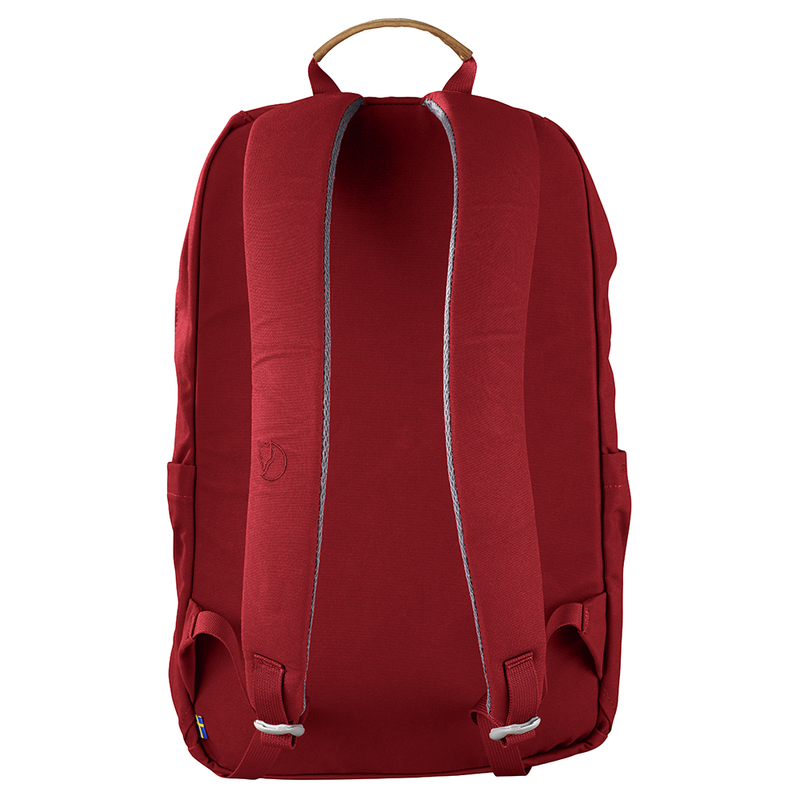 •Simple and hardwearing 20 litre backpack in G-1000 HeavyDuty, perfect for commuting and everyday use. 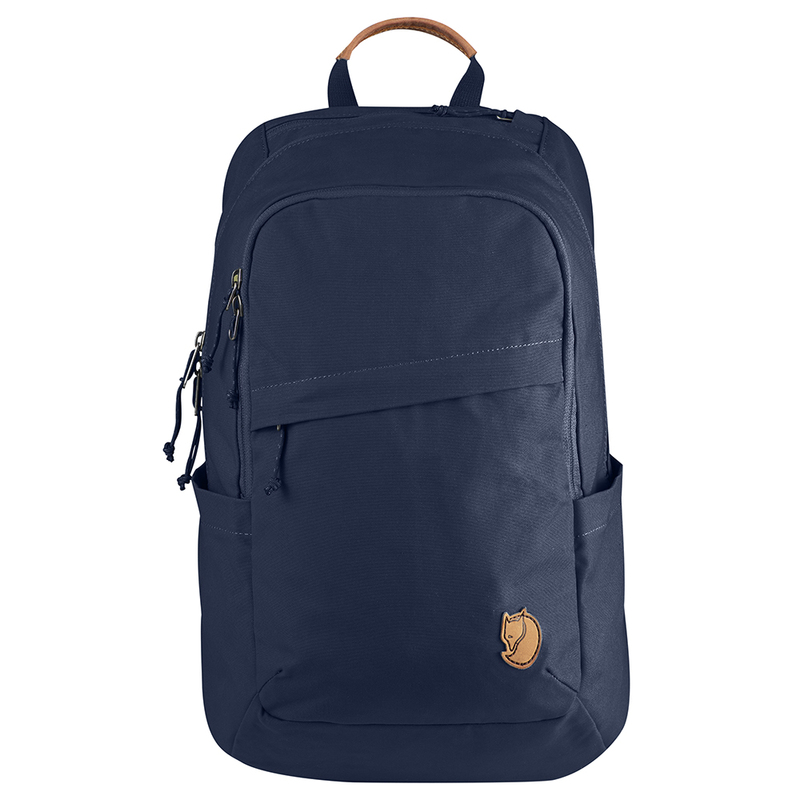 •Comfortably padded back panel and shoulder straps. 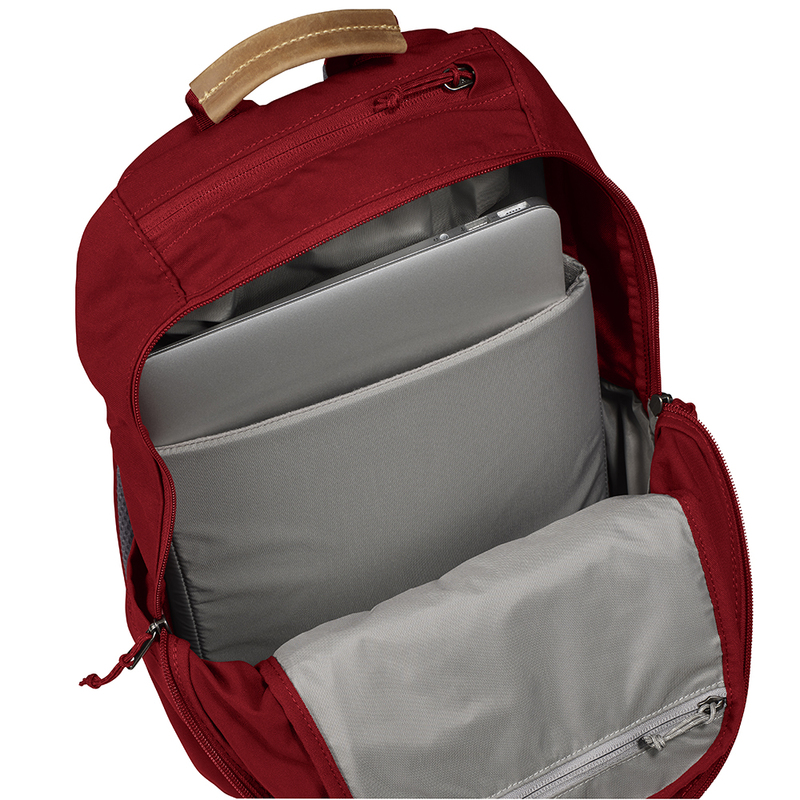 •Zippered main compartment with padded sleeve for up to 15″ laptops. •Front compartment with zippered mesh organizer pockets for overview of contents. •Fleece lined pocket for mobile phone, sunglasses, etc. 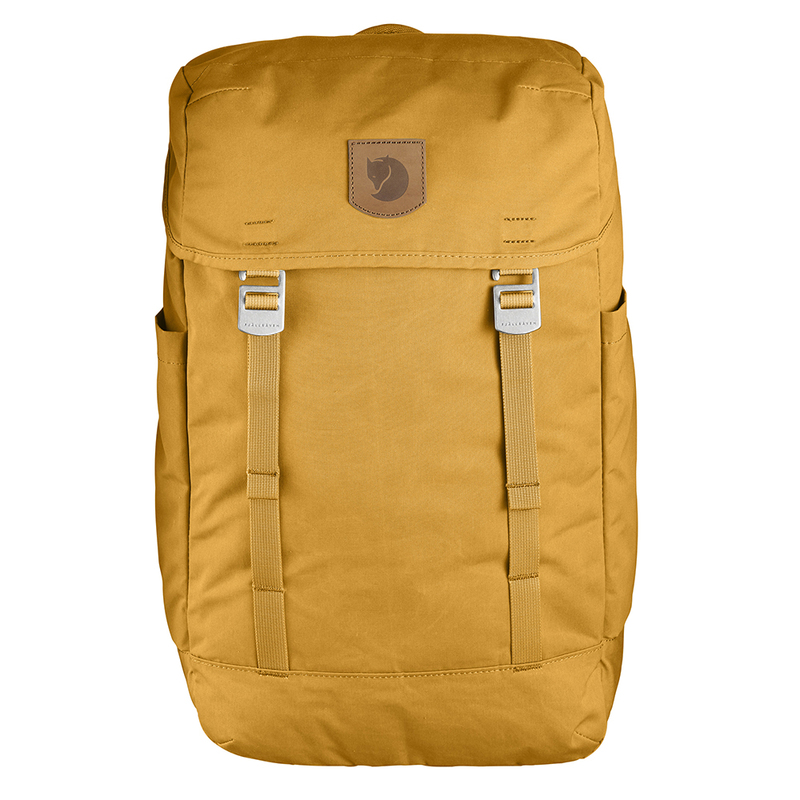 Simple and durable everyday backpack made from durable G-1000 HeavyDuty Eco in recycled polyester and organic cotton. Simple design and practical details make it perfect for commuting or everyday outings. 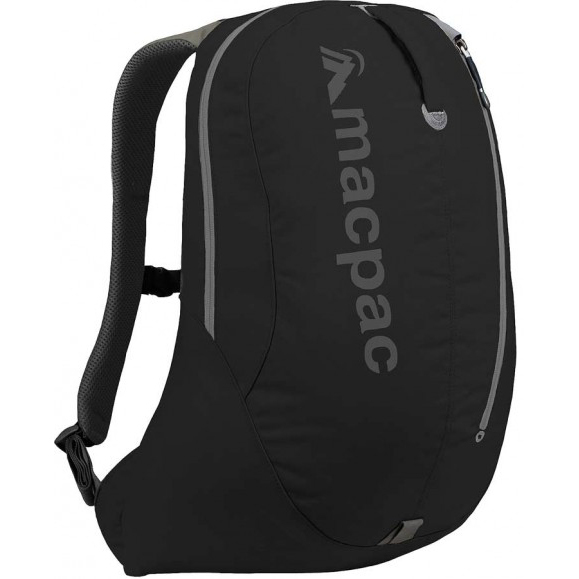 The main compartment is spacious with a zippered opening and a padded compartment for a laptop computer (up to 15 inches in size). A little fleece-lined pocket with a zipper has room for sunglasses, a phone etc. There is also a zippered front pocket and two side pockets for drink bottles and other items you want to keep close at hand. Comfortable padded shoulder straps and foam frame sheet. Handle with leather grip. Volume: 20 litres. 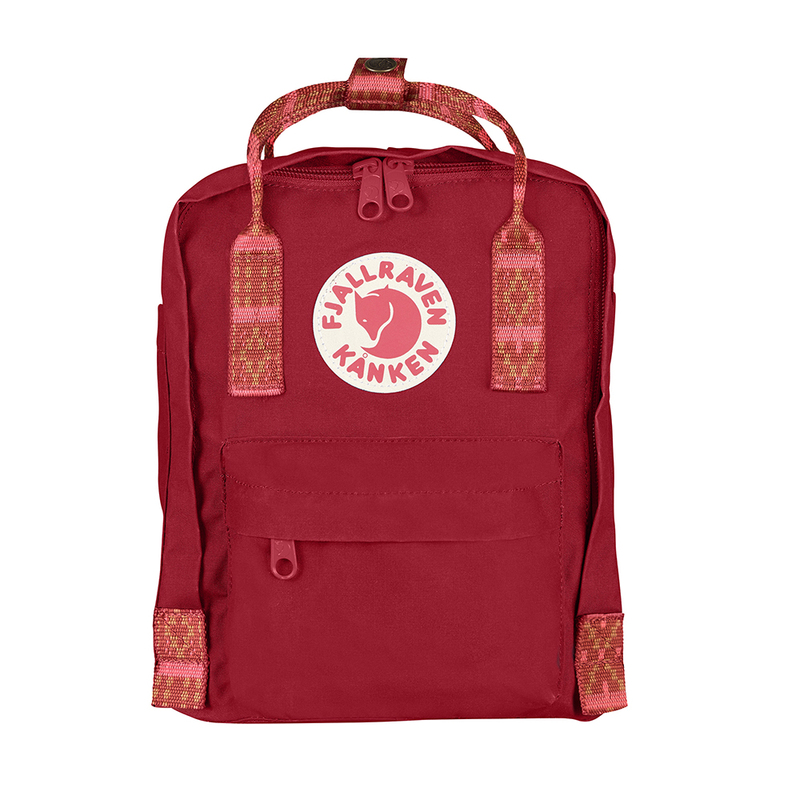 View our whole range of Fjällräven here. Find out more information about our heritage here.